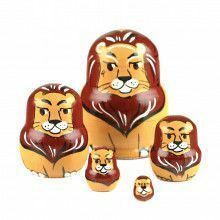 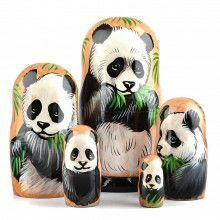 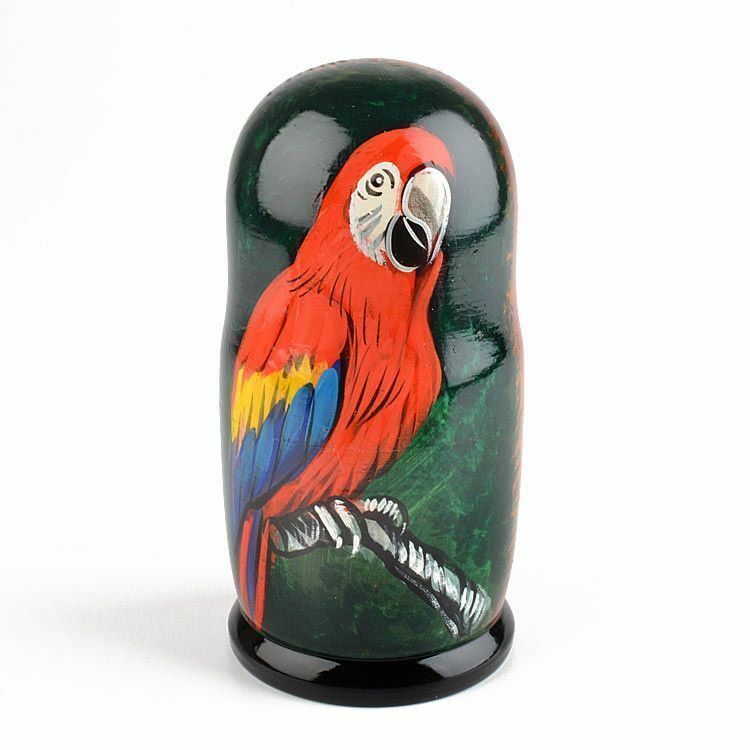 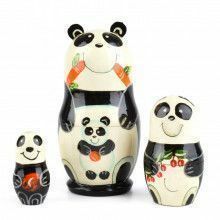 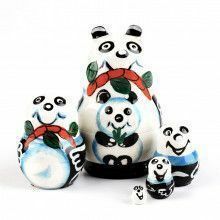 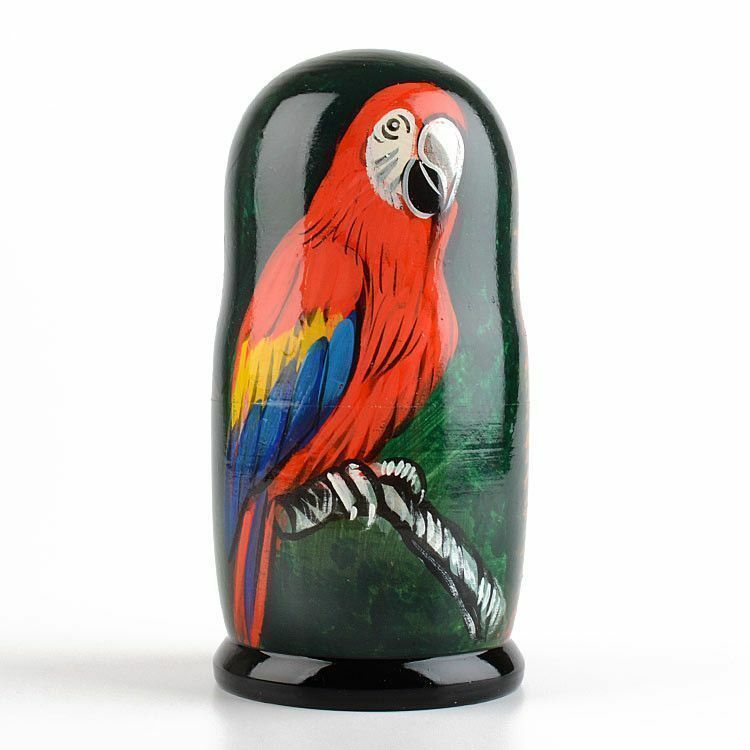 This bright parrot or Psittacines nesting doll was hand-crafted in Russia before being imported by us. 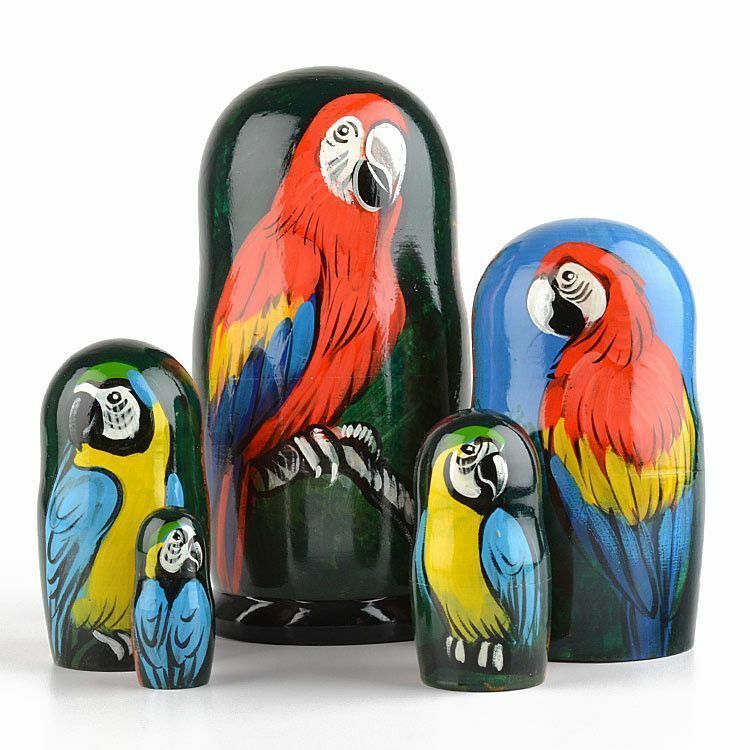 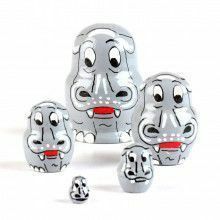 This set includes five dolls, each with a different picture of a parrot. 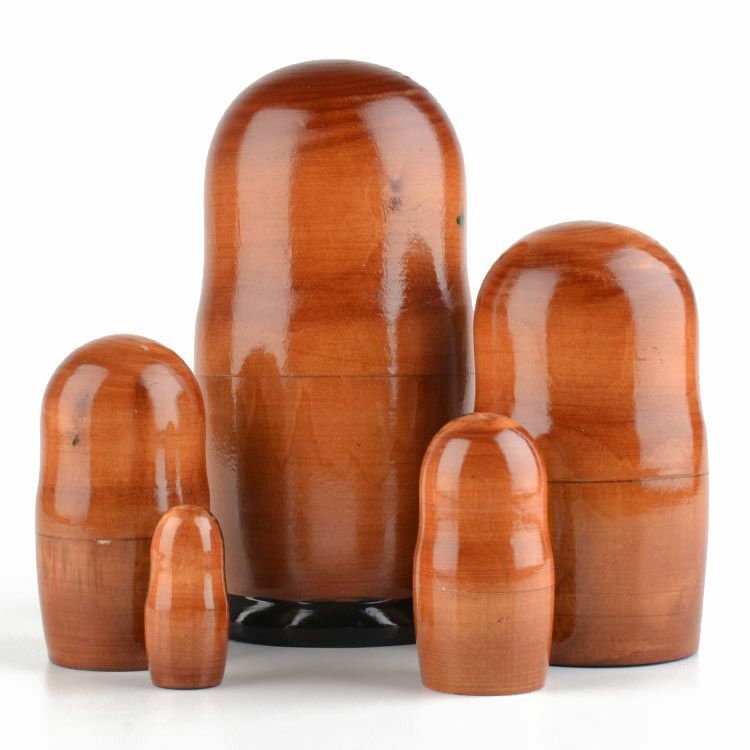 Approximately 6 3/4" tall. 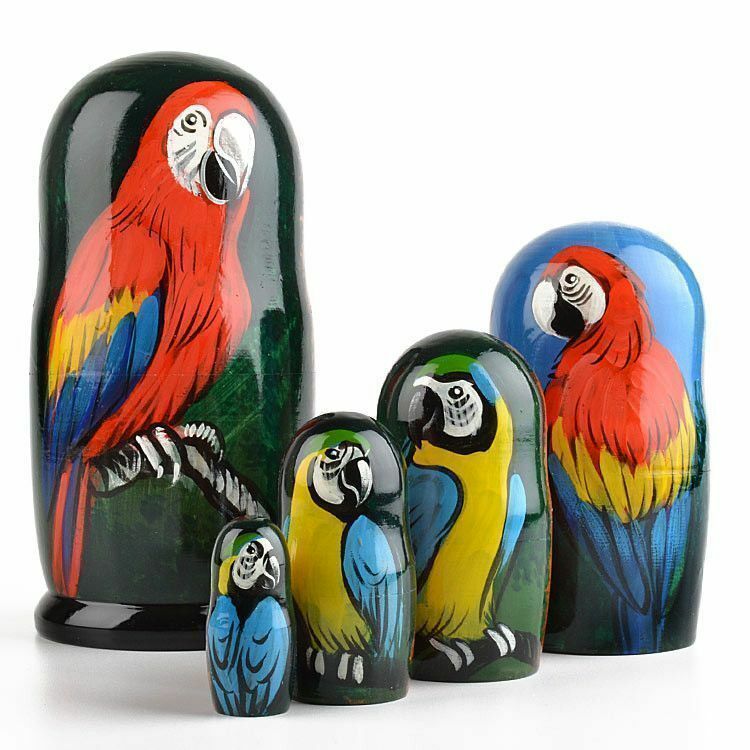 Makes a very unique gift for the parrot lover or owner!